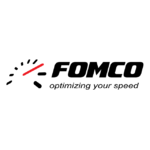 Fomco Prodimpex Company (“Fomco”) was founded in October 2012 and represents one of the Fomco Group Companies. Its activity is divided into several business directions, but an essential element consists in tachographs business and transport fleet management systems. Being a top national and international provider, holding a portofolio of over 200 partners, Fomco develops and distributes products that fulfill and satisfy the client’s needs, all over Romania and Europe. *Our main target is to help analyze fleet data and optimize activity planning & control. We achieve this by building our reliable hardware in-house and employing specialists with over 10 years of expertise in automation, electronics and software development. .Knowing the whereabouts of every vehicle of your fleet and the historical data throughout their journeys will empower you to make the right decisions on time. -Fleet management and tracking – by offering a complex and complete solution for GPS tracking and live monitoring of vehicles our goal is to support daily fleet activity optimization. Our objective is to create value for our partners, customers and all of our investors, by offering: fast solutions to the market demands, high quality products and services, and not least, by compliance with ethical business behavior principles.